Kollywood heartthrob Arya, who is known as the most eligible bachelor in the movie industry, took part in the program 'Enge Veetu Mapillai' in the quest to search for his perfect bride. However, at the end of the show, none of the girls managed to win over his heart. But now we have a latest update on Arya's bride. FIND OUT: How Abarnathi Reacts to Arya & Sayyessha in Ghajinikanth? 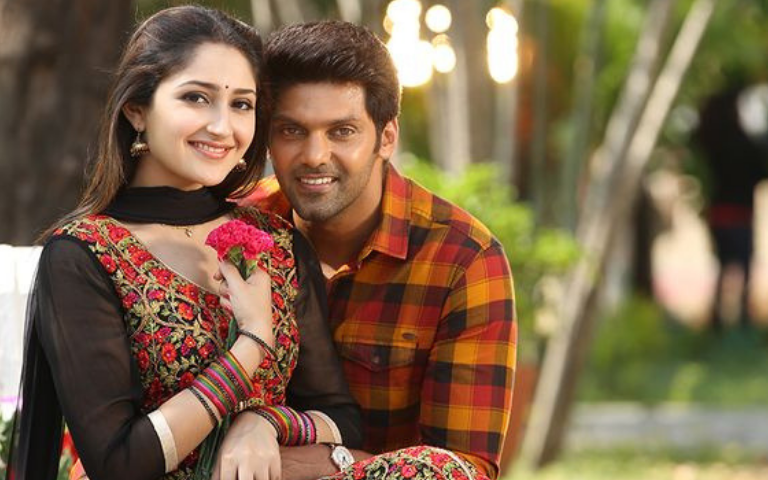 It is confirmed that Arya got fond of actress Sayyeshaa Saigal who paired with him in the movie 'Ghajinikanth'. The couple got closer after the movie and they are even working on another movie titled 'Kaappaan' now. What seemed like a romour became a reality when both their parents met and fixed the wedding date on 9th and 10th March. The couple will be tying the knot in Hyerabad and a grand reception will be held in Chennai following that.